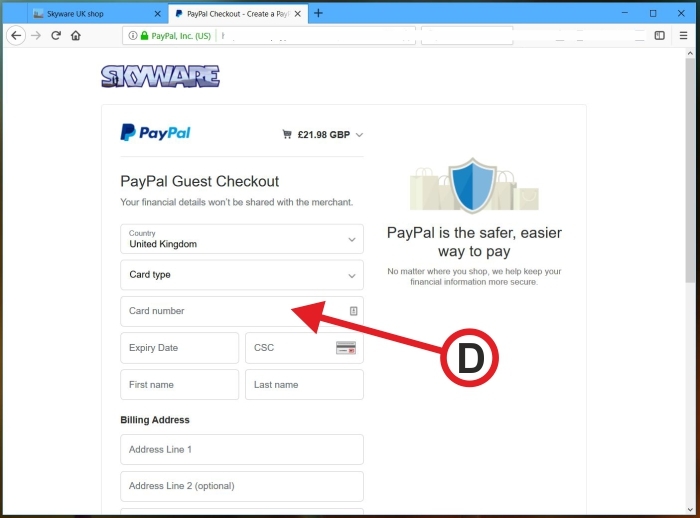 Buying books from Skyware online is easy. 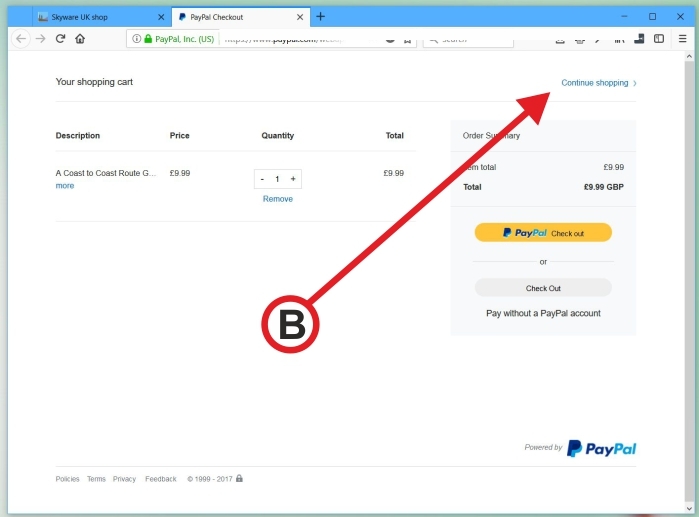 We use PayPal to process online payments. 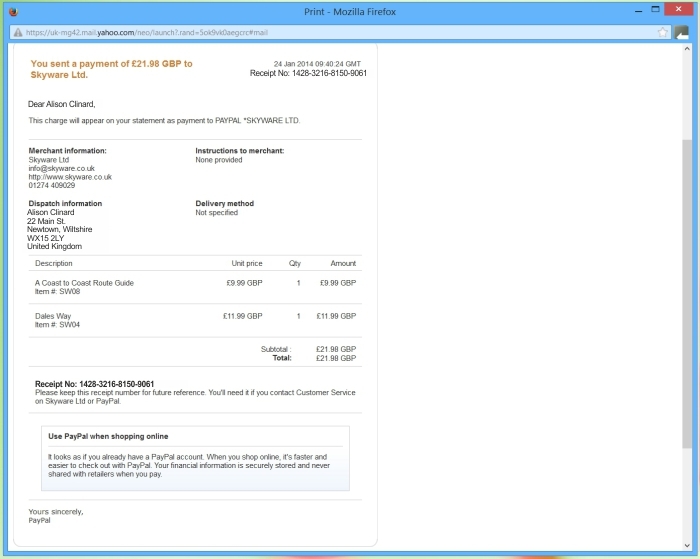 PayPal is a secure online banking system. 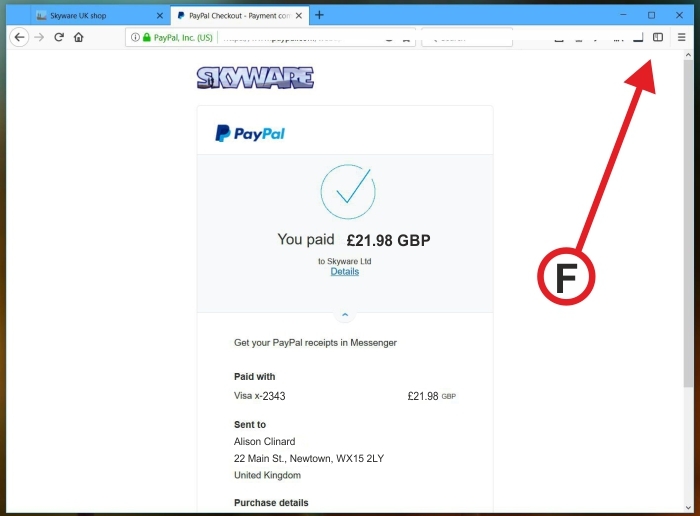 You don't need to have a PayPal account to buy online though. PayPal will accept most major credit and debit cards. From the On-line shop select items to Add to your shopping cart (A). Check the items as they are added to your shopping cart. You can remove items if you change your mind. Click (B) Continue shopping to view more items. When you've selected all the items you want, click on (C) Check Out. 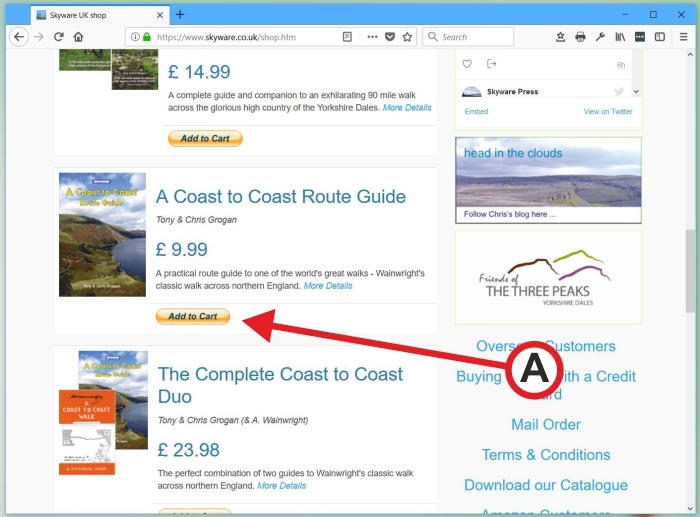 You can also click on View Cart at the top of the shopping page anytime. Fill in all the details requested (D). 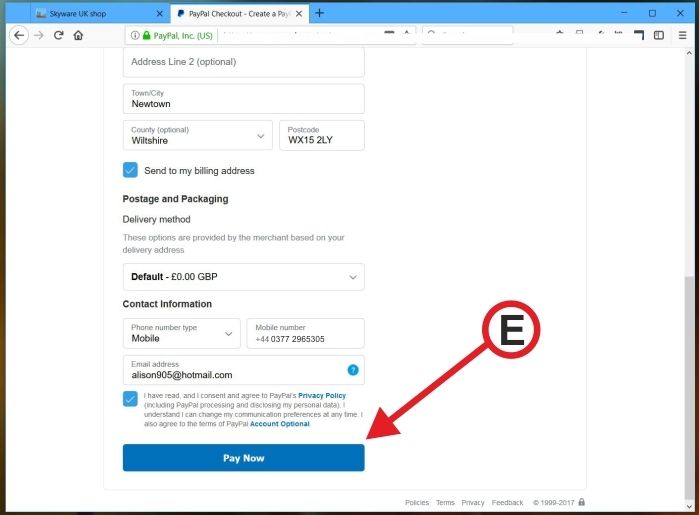 Once you've filled in all the details, click Pay Now (E). 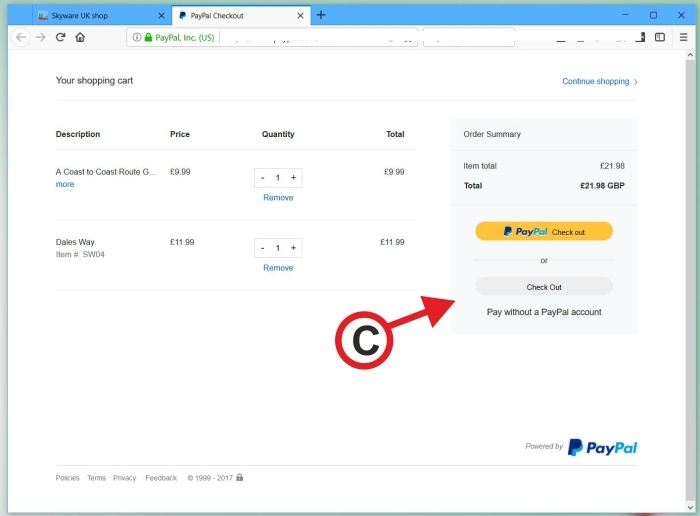 PayPal will email you a Receipt to confirm your payment. Your order is posted from Skyware by first class post, usually the following working day. You will receive an email notification that your order has been dispatched.